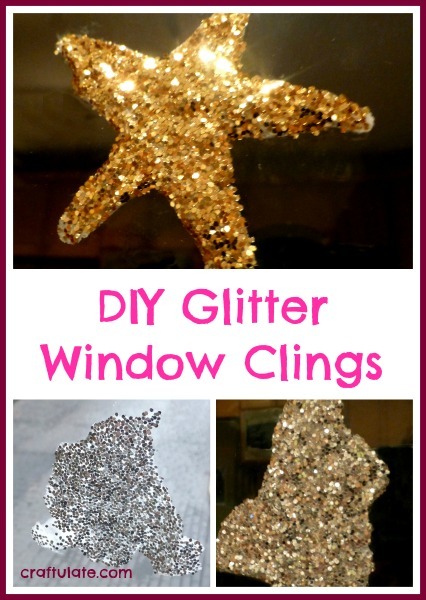 These glitter window clings are so easy to make – and either loose glitter or glitter glue can be used. 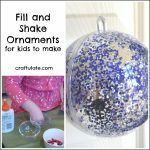 To prepare this craft I taped some wax paper to the table and set out some white glue and a silver glitter shaker (kindly sent to us by craftprojectideas.com). F squeezed out puddles of glue onto the paper. 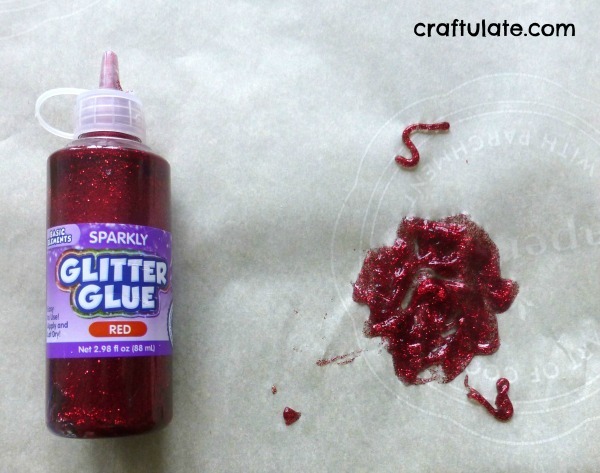 Then he “sprinkled” the glue with glitter. OK, I’m not going to lie, he actually dumped loads out! All part of the fun and it was easy to re-use the excess. He really enjoyed how simple this was so he made two more. 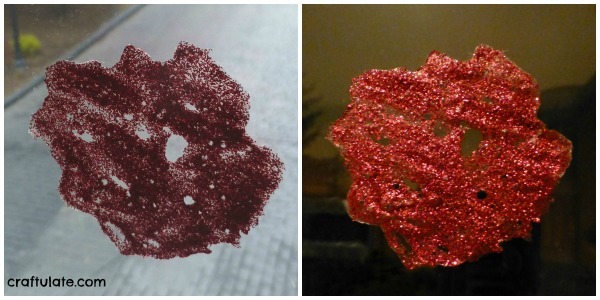 I shook off the excess glitter and left them to dry (it took a couple of days!). The glittery “blobs” didn’t immediately stick to the window like I thought they would, but I moistened the back of them with a little water and they stuck pretty well. I really struggled to get a good photo of them though! 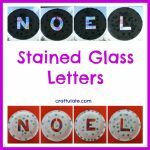 The next day we tried making more glitter window clings but using red glitter glue instead (also sent to us by craftprojectideas.com – thanks guys!) This was harder to squeeze out so F only made one puddle this time. But no need to add the glitter! After this had dried it was ready to stick to the window. Again it needed a little bit of water to make it adhere. 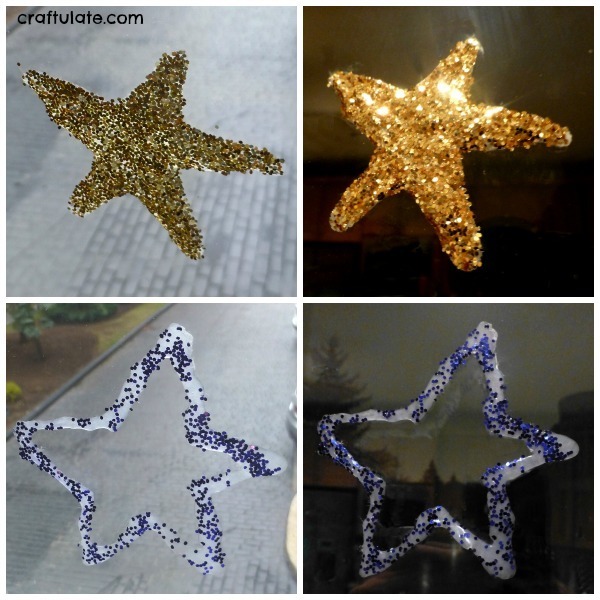 Which is better, loose glitter or glitter glue? The loose glitter clings were WAY more sparkly, but had the unfortunate side effect of shedding their glitter every time it was touched or moved. The glitter glue clings were comparatively mess free to make, didn’t shed the glitter, but weren’t quite as sparkly. 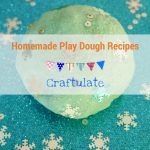 This post was originally published on Cocktails with Mom.